Kinderkuchen for the FBI: Jonas Kaufmann: "I was sexually harassed"
Jonas Kaufmann berichtet über sexuelle Nötigung. Am Anfang seiner Karriere wurde ihm ein Konzert angeboten - Bedingung: eine Gegenleistung. 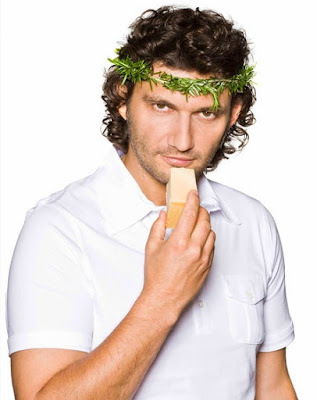 Jonas Kaufmann reports sexual coercion. At the beginning of his career he was offered a concert - condition: a consideration. Tenor Jonas Kaufmann ist zu Beginn seiner Karriere sexuell belästigt worden. Auch Männer seien davor nicht gefeit, sagte der 48-Jährige der Mailänder Tageszeitung „Corriere della Sera“ mit Blick auf die MeToo-Debatte. „Ich kenne die Situation gut, als ich jung war, ist es mir auch passiert. Ich stand am Anfang meiner Karriere, als mir ein Manager ein Konzert anbot, eine fantastische Gelegenheit. Tenor Jonas Kaufmann was sexually harassed at the beginning of his career. "Even men are not immune to it," said the 48-year-old in the Milanese newspaper Corriere della Sera with a view to the MeToo debate. "I know the situation well, when I was young, it happened to me too. At the beginning of my career, when a manager offered me a concert, it was a fantastic opportunity. "In return, I would have had to go to the sauna with him. That was a very explicit exchange. I was scared and said no." Sexual blackmail was "horrible," according to Kaufmann. "You have to have the courage to uncover them." But the classic star also complained that in the US, a man can no longer be alone with a woman in a room without a camera running. "The danger of being accused of harassment is too great." The machine translated this just fine. I adjusted the punctuation.